I am learning to love, accept, and allow everyone freedom to simply be…however they are in the moment. I was taught, like many of us were taught: to put others before Self, to put myself last after everything and everyone else. Taking care of myself was seen as selfish and wrong. With this social conditioning, I felt like I needed to be punished or perfected because I wasn’t okay or good enough as I was. I wasn’t allowed to simply rest in the moment. Some goal always needed to get done first and I had to postpone this deep rest I was yearning for. For years I tried to do this. I tried to put myself into a box of “doing it right.” I tried being what I thought others wanted. I sought to please others and to also help others through studying psychology in college. But during my senior year, I realized that I was not fulfilled. I had a lovely mask on. I may have tricked others into thinking I was happy, but I was far from it. I realized I was not giving myself love and seeking it outside of me. I truly didn’t know how to love anyone else because this love was not discovered within me yet. I sought to find true fulfillment through relationships, spiritual paths and texts, careers, material things – everything that came across my path – but none of it lasted. Loving myself first means putting myself first. This means not taking care of other people, but really taking care of myself, as only I know what I need and only others know what they need. This means allowing myself to be however I am in the moment, and allowing myself to feel however I feel. It means not fighting with fear, but using it as an invitation to really discover what cannot die in the moment. Self-love is stopping when I know I need to stop. It is allowing mistakes and not trying to be perfect. This means ignoring the idea that I am not good enough. What I have discovered is that when I love myself first, put myself first, cherish the Life that is expressing itself through and as me, this is inspiration for others to do the same. I am always learning how to take care of myself more in all areas as Life guides me. Meditation has been a blessed key – not just sitting for a few minutes and then going back to giving attention to the thoughts and stories in the mind for all the other hours in the day (though it definitely started this way). This is also not meditation where I am striving for something to happen or appear. It is very simple. Along the way, I discovered Satsang, which means coming together in truth or meeting in truth in Sanskrit: Sat means Truth and sangha is being in company. I see my whole Life as Satsang now. I see every experience as an invitation to simply be in the moment, to discover the truth of myself. So, meditation for me is simply being in the moment. We do this by ignoring the thoughts, and using the feelings or the breath to bring our attention back to the moment. To really be in the body grounds us in the present, in presence. This is good for all parts of us. The body gets to relax and simply be. The thoughts are allowed to be (not being fought or clung to). The feelings are allowed to be. Everyone is given this permission to simply live in freedom. Also, being present encourages me to listen more to my body and what it wants or doesn’t want. I listen as to where there is a ‘no’ or a ‘yes’ coming from the truth of the moment. I give myself full permission to simply be a human being, this particular human being, and this particular flavor. 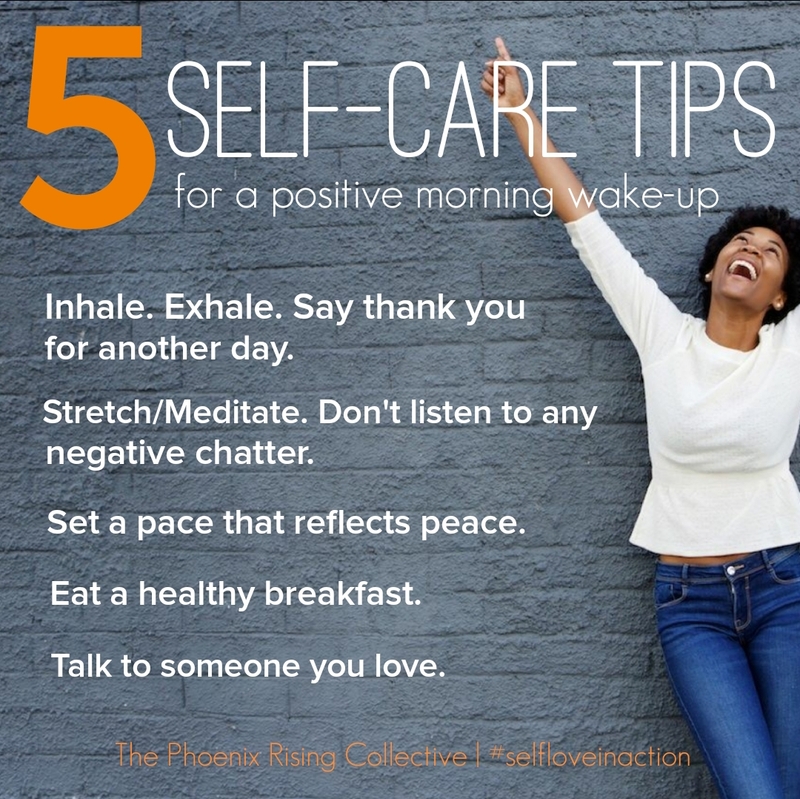 Self-care can reveal this peace to us again and again. As I mentioned, after college I was searching for truth, fulfillment, and a way to take off the mask I was hiding behind. I was ready for healing, and I discovered that healing came from letting go of my story of suffering, a narrative I would tell others and myself over and over again. I had hidden behind painful childhood experiences (and experiences passed down through generations); this story of not being good enough, needing to fix myself until I was perfect enough to love. So, I adamantly searched, and Life crushed all my lifelong dreams of going to graduate school to be a psychologist. Life had something else in store and brought me to a point of retreat. 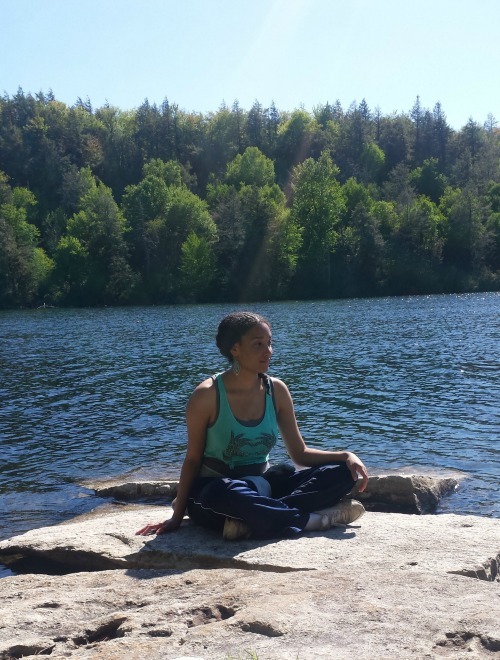 Life stopped me, gave me a break, and brought me face-to-face with my true Self as if It was saying, “You wanted freedom and healing so here is this spiritual detox.” I was also being invited to make peace with aloneness. I had been trying to help others through my professional career choice, but the truth was I wanted to really help myself. I can’t help others to discover the tools to nourish themselves if I am not nourishing myself. I was brought to a challenging point. A lot of resistance and all types of feelings like depression, anger, fear, and everything we feel as humans came for me to finally make peace with them. This was self-love even though it did not feel like it in the moment. Because through feeling my feelings, I took power out of this story of being a victim. The feelings brought me into the moment. They brought me into the space that is unshaken by any storm, by any emotion. I asked for real help at the end of 2012 in a moment of total surrender and was mysteriously led to my true teacher. He pointed me back to this moment where there was no one seeking; there was just infinite peace and love. This love is unconditional and it can be ruthless when it wants to free you from the limitations and chains of the conditioned mind. All the challenges of my Life always bring me to a deeper recognition of the love that is here, the love that I am, you are, and we all are right now. Through loving ourselves as we are, unconditionally accepting the cards we were (are) dealt, something powerful and mysterious begins to happen that I cannot write about. It cannot be spoken. Only you can experience it for yourself in this moment. Through self-love, I have learned how to love. Period. Loving myself when I was in a personal hell or when I was considered wrong or when I was stripped of everything I once used as a distraction taught me how to love all of existence. Compassion started to grow. I have discovered that when I’m taking care of myself, everything else is taken care of (even when my mind judges it to be wrong). Yes, some who are not in peace with this change may not be happy with my self-love/self-care and will get their feathers ruffled and think I’m selfish. This is their issue to make peace with. Selfishness is expecting others to do for you what you should be doing for yourself. Self-love is our sole responsibility and freedom. It is empowering for all! I allow those that don’t accept me for who I am to leave my Life; this is their freedom and mine to be ourselves. Namasté. 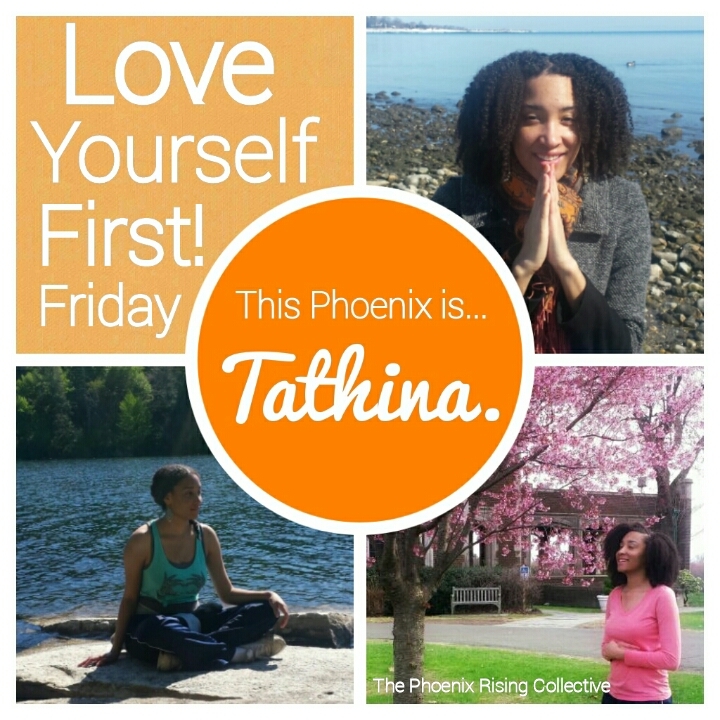 Thank you for sharing your self-love story with the Collective, Tathina. 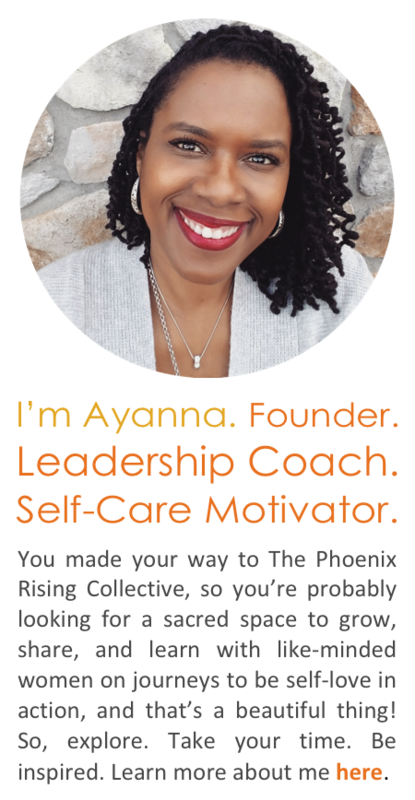 You are definitely a Phoenix rising! Learn more about Tathina’s journey; she is the author of The Invitation (to Live) (the Truth). Want more? You can also get info about Satsang and how Tathina gives herself permission to just “let go of all the defenses and BE” by following her blog, HERE, for self-love/meditation challenges that mirror some of the practices in her LYFF story. Categories: Love Yourself First! 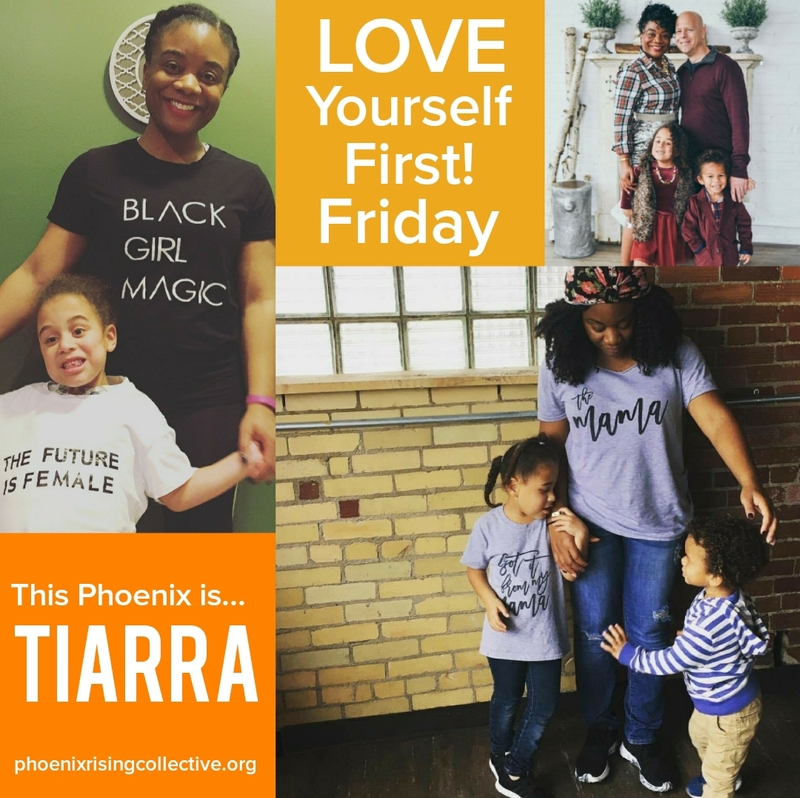 Friday | Tags: Love Yourself First, Love Yourself First Friday, meditation, personal growth, radical self-care, Satsang, self-acceptance, self-care, self-love, spiritual growth, the phoenix rising collective, whole living, wholehearted living | Permalink.